Oscillatory Thoughts: What are some of the most surprising things that can damage someone's brain? What are some of the most surprising things that can damage someone's brain? This is another post inspired by an answer I left on Quora. This is all stuff I learned about from teaching neuroanatomy for three semesters. This is an infection cause by the tapeworm Taenia solium. 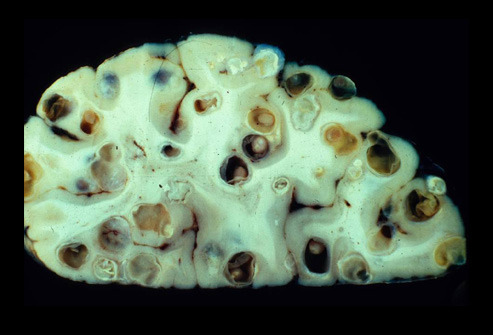 After eating infected, undercooked pork, the tapeworm's eggs can migrate into the brain and/or other tissues where the larvae develop and mature, leaving behind cysts. Moral of the disease: cook your pork. This is a disorder almost always caused by an incorrect treatment of a basic disorder: hyponatremia. Hyponatremia literally means "below natrium", or too little sodium. This can be caused by many situations such as prolonged diarrhea or vomiting with too much water intake without enough electrolytes (e.g., sodium). If a patient presents hyponatremic the obvious treatment is to give the patient sodium solution. However if the doctor tries to correct the sodium levels back to normal too quickly it may result in central pontine myelinolysis. What this means is that the pons (part of the brainstem) loses myelin (the insulating wrapping around the axons of the neurons). This can lead to a mind-blowing disorder known as "locked-in syndrome" wherein the person is conscious, awake, and aware, but cannot interact with the outside world. 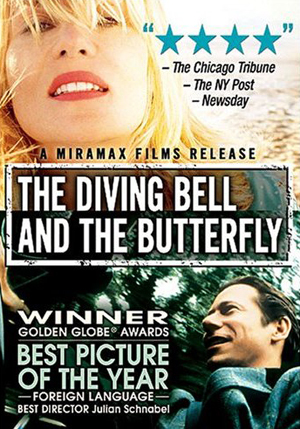 If you haven't read it or seen the movie, I highly recommend The Diving Bell and the Butterfly, a book written by former journalist and Elle editor-in-chief Jean-Dominique Bauby, who had locked-in syndrome. He wrote the book by using his eyes to select a letter, one letter at a time. This disorder is usually induced by prolonged alcohol abuse, but is actually caused by a thiamine (vitamin B1) deficiency associated with poor nutrition in severe, long-term alcoholics. For some reason, neurons in the mammillary bodies are especially susceptible to thiamine deficiency, causing them to preferentially die off. 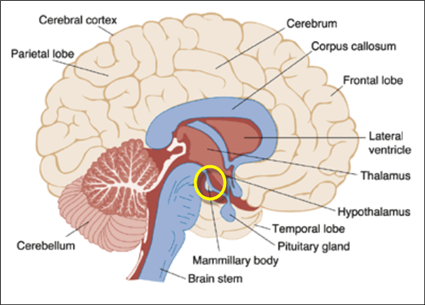 The mammillary bodies are heavily interconnected with the hippocampuses, and when damaged can cause severe anterograde amnesia as was seen in patient H.M. (and portrayed very oddly in the movie Memento). As with central pontine myelinolysis, this disorder can also be caused by a physician. For example, if a patient is in a long-term coma and are not being given IV thiamine, they patient may awaken with Wernicke–Korsakoff. A "banana bag" (an IV solution containing a multi-vitamin solution including thiamine, so-called because of its yellow color) should be used for such patients. I've been told that experienced doctors will look in on comatose patients from time to time just to make sure their IV solution is yellow. This is an odd case that lead to a breakthrough in neuroscientific and neurology research for disease treatment. In 1982, seven young people in Santa Clara County were diagnosed with Parkinson's Disease. Parkinson's is very rare in people under the age of 40. Turned out, all of these people were heroin users, and their particular batch of "synthetic" heroin (MPPP), it was later discovered, contained an impurity: MPTP. MPTP (1-methyl-4-phenyl-1,2,3,6-tetrahydropyridine) selectively destroys dopaminergic neurons in the substantia nigra, the same neurons that degenerate in Parkinson's Disease. MPTP is actually now synthesized and used as an animal-model of Parkinson's Disease to aid in understanding and treating the disease.